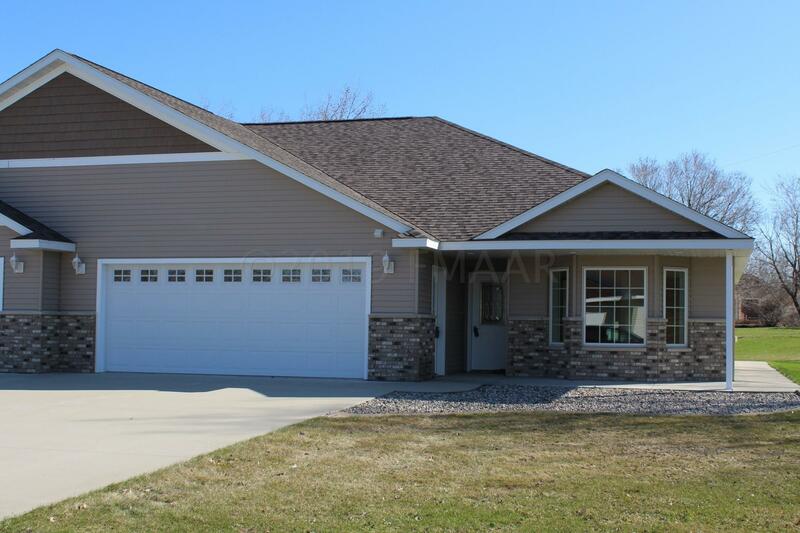 This one level no step twin home is located halfway between Fargo/Moorhead and Detroit lakes. Features to enjoy are hydro heated floors in the twin home and the garage plus a gas forced air furnace and central air, master bedroom with private bath and walk in closet, spacious flex room with bay window which could be a 2nd bedroom, sun room, hobby room or TV room. The kitchen has custom cabinets and black SS appliances.. In addition there is a large laundry room with plenty of room for storage, or a freezer. The attached garage is finished, heated, and has a hose bib. Enjoy a patio and a huge yard with plenty of room for a outbuilding. A big bonus is free water, sewer & garbage for one year after purchase, worth $80.66 a month!